This painting shows the precarious situation of us all. The shark, destructive evil, is so close -- just outside the boat -- yet the Christian can be at peace. This is one of my personal favorites. 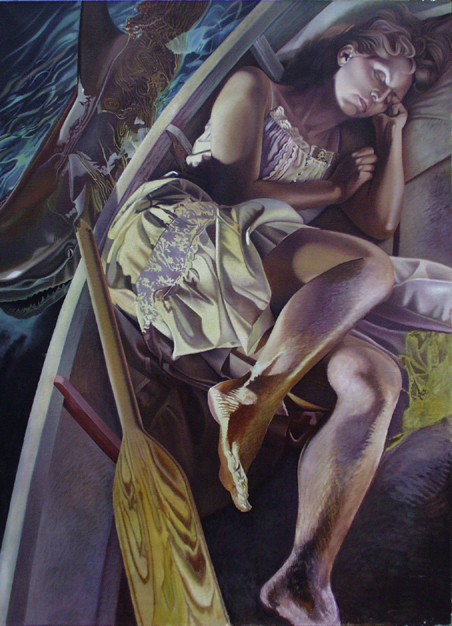 Susie Shultz, an Atlanta artist posed for this painting along with a friend's fibreglass cast of a bull shark.